Admirable women, amazing change. 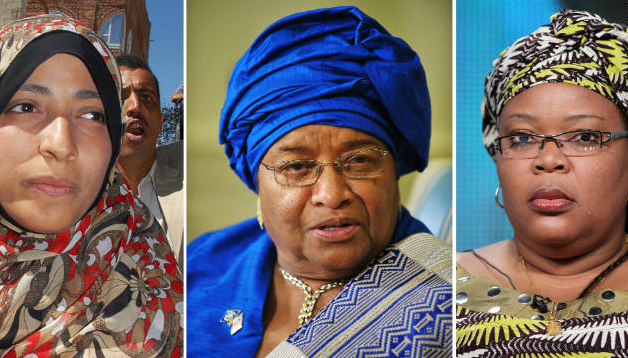 Liberian President Ellen Johnson Sirleaf, activist Leymah Gbowee of Liberia and rights activist Tawakkul Karman of Yemen received the Nobel Peace Prize today. I am most familiar with Gbowee who was the main focus of the documentary Pray the Devil Back to Hell and her efforts to end a 14-year long civil war. All three women deserve this honor. For more, read here.